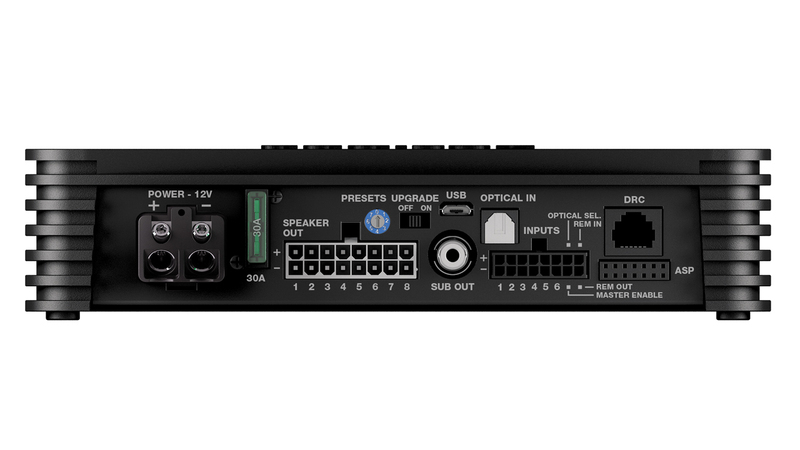 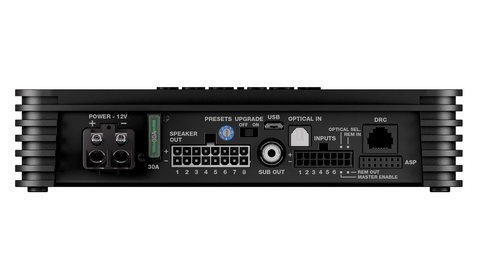 The AP8.9 bit amplifier was designed by Audison R&D Department to achieve maximum sound quality in OEM Integration applications. 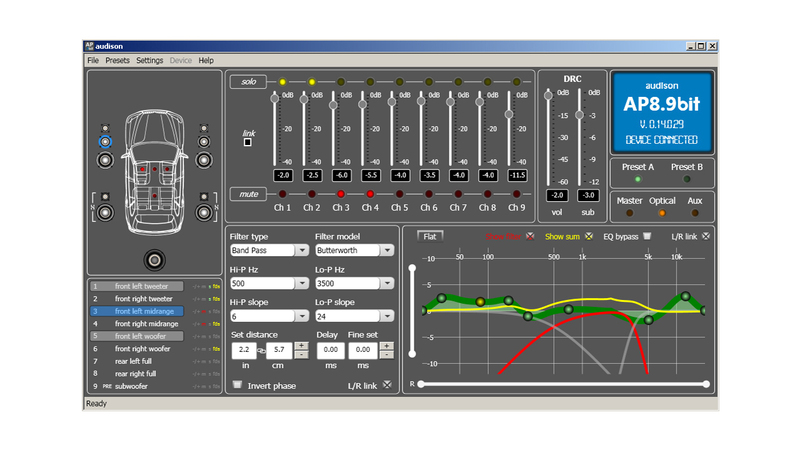 The powerful management software proves the ability to acquire the bit Drive presets which the Audison team fine-tuned specifically for your car. 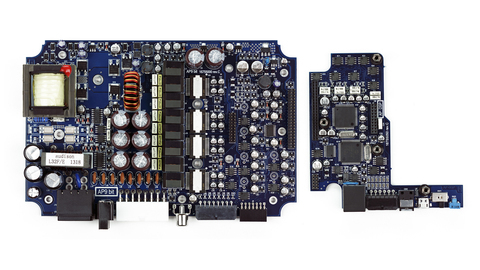 Thanks to the innovative power supply stage, a power of 520 W total can be achieved in an extremely compact case. 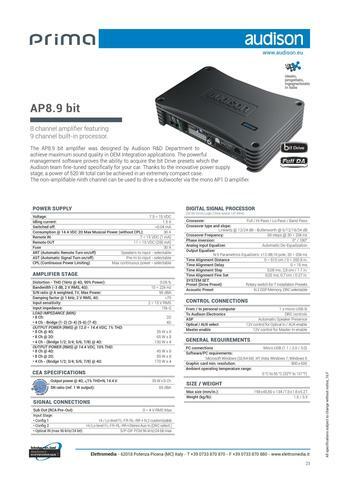 The non-amplifiable ninth channel can be used to drive a subwoofer via the mono AP1 D amplifier. 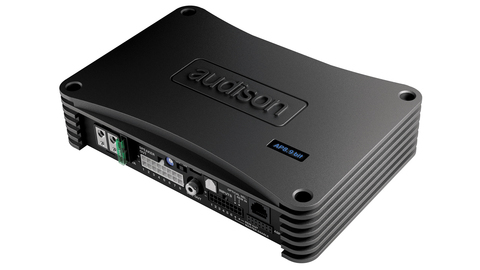 To speed-up installation time preserving safety and reliability, the Audison R&D team equipped the AP bit amplifiers with DCC, an innovative management circuit which monitors the power supply current consumption in real-time. 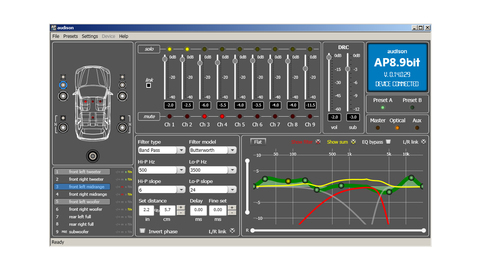 This solution provides the ability to connect the amplifier to the cockpit directly without reaching the battery.